Welcome to Jimi Hendrix in Vancouver. 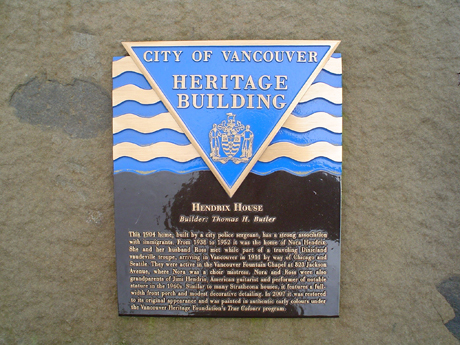 On this page I will outline and describe the factual story of Jimi Hendrix’s small but very significant connection to Vancouver. Over the years since Jimi’s death there has been many references to Jimi’s connection to Vancouver in the dozens of books written about him. But the story has always been under represented and full of factual inaccuracies. 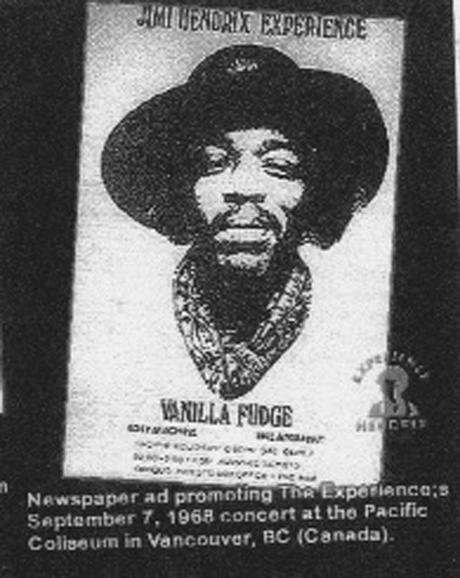 In this story I will describe in full detail the true story of Jimi Hendrix in Vancouver. James Allen Hendrix (photo from: Hendrix, James Allen; My Son Jimi, 1999). The Jimi Hendrix in Vancouver story starts in 1911 when Jimmy’s grandparents Ross and Nora Hendrix, emigrated to Vancouver from the United States. Grandpa Ross was from southern Ohio and Grandma Nora was born in Tennessee but raised in Georgia. After their travelling entertainment tour ended in Seattle they were unable to find work in Seattle and had no desire to return to the South. When Jimi’s grandfather, heard from a friend about work possibilities in Vancouver, Canada they decided it might give them a better chance to get stabilized and raise a family. So they then took the train and emigrated to Vancouver. Jimmy’s grandfather soon found work in Vancouver at the Quilchena Golf and Country Club as a washroom attendant. Unfortunately, the only jobs available to black men in Vancouver were as a washroom attendant or train porter. Given his age the only option for him was as a washroom attendant. They settled into a house at 1343 Richards St. which at the time wasn’t downtown as it is now. There they had their first of four children, Leon. Over the next seven years they would have three more children: Patricia, Frank and Jimmy’s father James Allen Hendrix, known as Al. Sadly in 1931 the oldest child Leon died of a ruptured appendix. He was sick for weeks, Nora tried to nurse him back to health and failed. He died in the ambulance on the way to St. Paul’s Hospital. 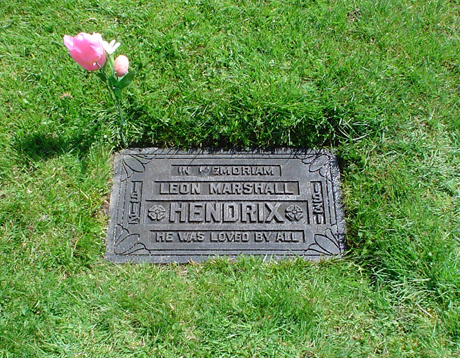 Leon’s death hit the Hendrix family very hard, there was very high hopes for Leon. His parents thought his future looked bright, possibly college, he being the only Hendrix to have graduated high school so far. There was the expectation that more education would lead to better employment opportunities which was of great concern because the Depression had gone global and was particularly hard on poor blacks. Leon’s middle name was Marshall and Al loved and respected him so much that years latter he gave Jimmy the same middle name. Although wracked with grief over Leon’s death the Hendrix family carried on. 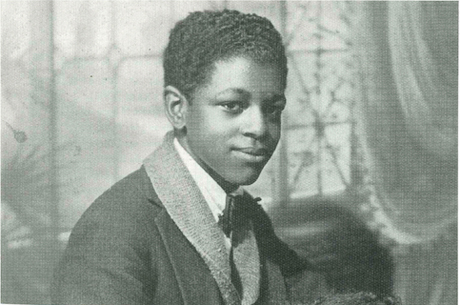 Al’s father, Bertram Philander (Ross) Hendrix, continued working at the golf club until his death in 1934. Grandma Zenora (Nora) started washing clothes for people in the neighbourhood and working at a local chicken restaurant, (not the one she would work at later), and continued being a central figure at the American Methodist Episcopal Church which she helped establish. In 1921 she proudly became a Canadian citizen. When Jimmy’s father Al was a teenager, dance crazes like the Lindy Hop and the Jitterbug were very popular. Al was very involved in the dance scene in Vancouver. A photo of him dancing in a Jitterbug competition at the PNE Forum appeared in the Vancouver Sun newspaper. 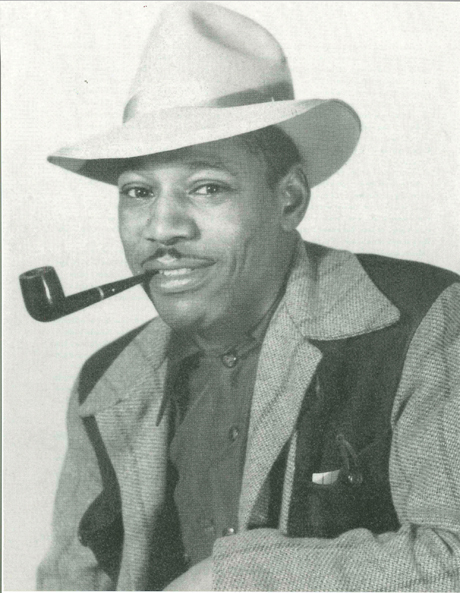 In the late1930s Al was drawn to Seattle because of the more exciting dance scene and the much larger black community, which meant more dance partners (girls). He had dual citizenship which allowed to move to Seattle. But soon after settling in Seattle Uncle Sam called for Al’s military service, and he was sent off to war in 1942. Leon Marshall Hendrix (photo from: Hendrix, James Allen; My Son Jimi, 1999). Ocean view Cemetary 4000 Imperial Burnaby B.C. Ross Hendrix probably Richard St. area Vancouver circa 1915 (photo from: Hendrix, James Allen; My Son Jimi, 1999). 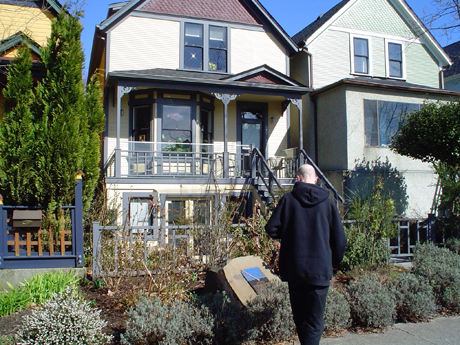 Al’s brother Frank and his wife Pearl’s house in the West End became the longest, most stable home for the Hendrix family in Vancouver. Both of Jimmy’s cousins, Bobby and Diane were raised there and Al’s sister Patricia and grandma Nora also lived there from time to time, Jimmy in 1953 for a time when things weren’t going well in Seattle lived there too. In 1953 Al’s sister Patricia, was working as a teacher’s aide at Sir William Dawson Elementary School at 901 Burrard St.and enrolled Jimmy there, but he only attended there for about two months before returning to Seattle. There is one story of Jimmy getting into a fight at school, apparently he was very upset by this, not because he was hurt but because he didn’t want to hurt the other kid. This of course was a glimpse into the future, it perfectly exemplifies the sweet gentle soul the world would meet years later. In an interview years later, Jimi asked if the school still existed and said he’d attended there when he was young. Interestingly, Al had attended the same school in the ‘20s. The school closed in 1962 and all that remains is a small piece of fence on the north side. Jimmy spent many summers in his early teen years visiting Aunt Pearl, Grandma Nora and his cousins in Vancouver. In the early ‘80s a plaque was placed on the old site of Dawson Elementary stating that Jimmy had attended a school that was once on the site. Zenora Hendrix (photo from: Hendrix, James Allen; My Son Jimi, 1999). By the early nineteen fifties Zenora had really become the grand old lady of Vancouver’s black community. Not only because she was one of the first blacks in Vancouver, having arrived in 1911, but also because of her beautiful spirit. 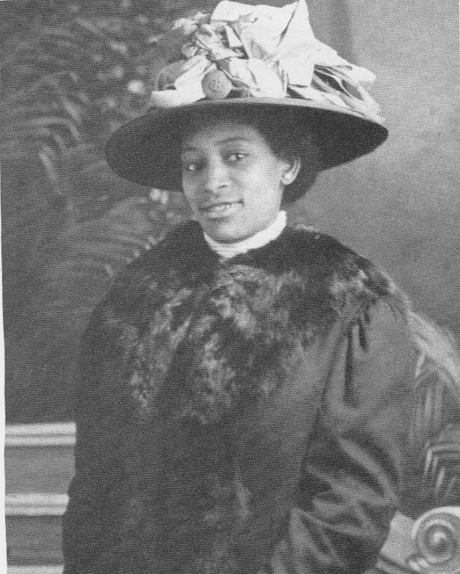 She was very involved with the church, establishing the first black church in Vancouver, The American Methodist Episcopal Church at 823 Jackson Ave. where she was well known for her generous nature and passionate singing. A Picture of her still hangs in the church to this day. Also in the early fifties she started working at Vie’s Chicken Inn on Union St. in the area known as Hogan’s Alley. 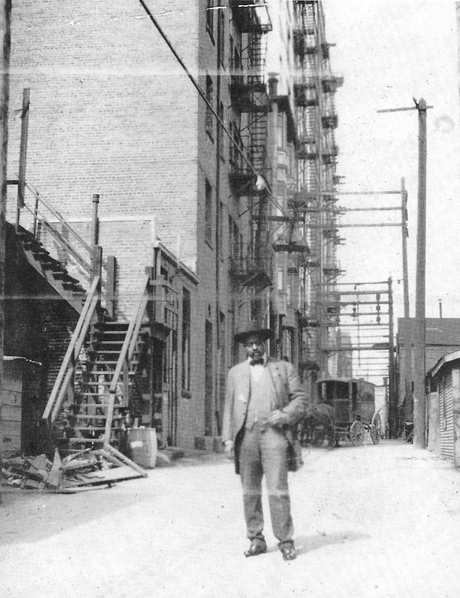 Hogan’s Alley was a one block ram shackled neighbourhood where most of the blacks lived and worked. It was just a few hundred yards from the CP train station where many of the young black men worked as train porters. Aunt Pearl also worked at Vie’s. Zenora’s down to earth approach to life and her indelible sense of humour carried her through life with a smile always gracing her face. Jimmy’s non stop joking around was directly inspired by her. She would love to stop for a beer on the way to work at Vie’s; there’s a great picture of her shooting pool, probably at The Patricia Hotel Pub. The close relationship that Jimmy and Nora had, really can’t be overstated. She taught him old school manners and the family history as well. Jimmy was fascinated by the stories of her Indian heritage (her grandmother was full blooded Cherokee). Zenora would make Jimmy Indian style clothes that he took back to Seattle. Nora had some Indian things around her home including an Indian peace pipe on the fireplace mantel that fascinated Jimmy. This all hugely influenced Jimmy and his love of anything indian related. Remember that Jimmy was a little boy in the 1950s when Cowboy and Indian movies and TV shows were very popular with all little boys. The most important item that Jimmy got from Nora was a tasselled green vest. He found it in a closet with Nora’s old costume items from her entertainment days. Jimmy loved it and once he put it on he wouldn’t take it off, even wearing it to school back in Seattle. This started a lifelong love affair with both vests and fringe. At this time Zenora lived in a modest home at 827 E. Georgia St. In 1984, Zenora died at one hundred years old. It isn’t surprising that she lived as long as she did, given her positive approach to everything. Nora’s strong sense of humour and peaceful approach to everything life threw at her, directly influenced the Jimi Hendrix we would come to know. 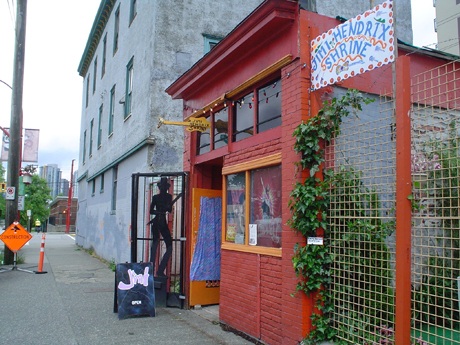 The Vancouver Jimi Hendrix Shrine in 2013, located at 209 Union St. Vancouver B.C. In 1962 Jimmy got out of the army and after jamming around the south for awhile, without much success, he headed back north. Instead of returning to Seattle, where he would face the wrath of his father Al who was bound to be upset about Jimmy’s early departure from the army, Jimmy opted to go to Vancouver and stay with Grandma Nora instead. Nora was living with Pearl in the West End and they were both working at Vie’s Chicken Inn. Jimmy would hang around the restaurant and there are stories of him busking out front. He would often stop at Vie’s on his way downtown to jam at the local clubs. There are stories of him jamming at Dante’s Inferno and The Smilin’ Buddah. These stories are true, he did play at these spots but the stories are much more grand than the reality. The stories of Jimmy joining Bobby Taylor and the Vancouvers are false. The truth is he just sat in with them a few times. Jimmy’s primary goal in coming to Vancouver was to get his career going, but he didn’t get anything musically happening in Vancouver so he headed back down south, and that’s when and where his career really got going. The Jimi Hendrix Experience, September, 1968. Vancouver Airport. In 1968 The Jimi Hendrix Experience played Vancouver on Saturday September 7th at the PNE Colosseum with all of Jimi’s family in attendance. 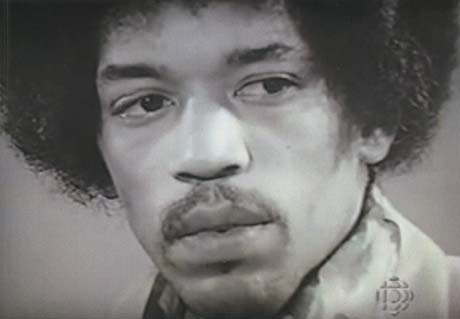 He was interviewed by Terry David Mulligan for CBC television and it was during this interview Jimi stated he had attended Dawson School and asked if it still existed. Also before the show Aunt Pearl asked him to play a blues, which he did, dedicating Red House to her. Grandma Nora found the concert too loud and asked to be moved back from row 2 where the whole family was seated. She found the drums particularly loud and bothersome. Nora and Al moved to the back of the Colosseum. After the show the whole Hendrix family gathered at Pearl’s house in the West End where once again Jimi and Grandma Nora reminisced about family history. 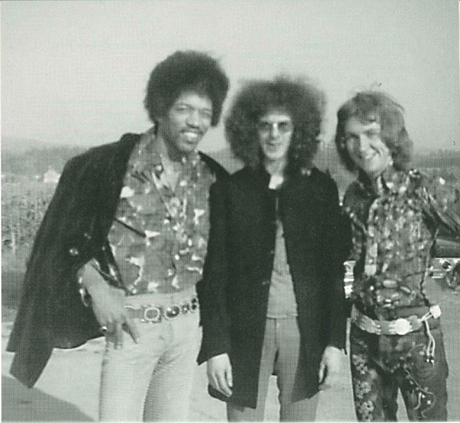 Jimi and the rest of the family stayed at Pearl’s that night and in the morning they drove Jimi to the airport to rendezvous with the rest of the band. 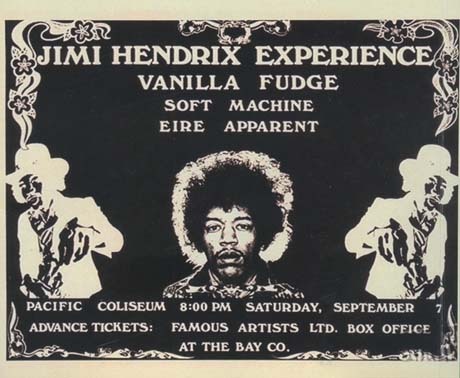 The Experience was supposed to play in Vancouver again the next year in 1969 but the show was cancelled when a groupie put a pill bottle containing heroin in Jimi’s flight bag after he had complained of stomach pains due to an ulcer. Jimi didn’t know she had placed the heroin in his bag and certainly didn’t ask her for it. So when the Experience crossed the border from Detroit into Canada to play Toronto, Customs found the heroin and arrested Jimi. The rest of the Canadian dates were cancelled. Jimi would never return to Vancouver again. 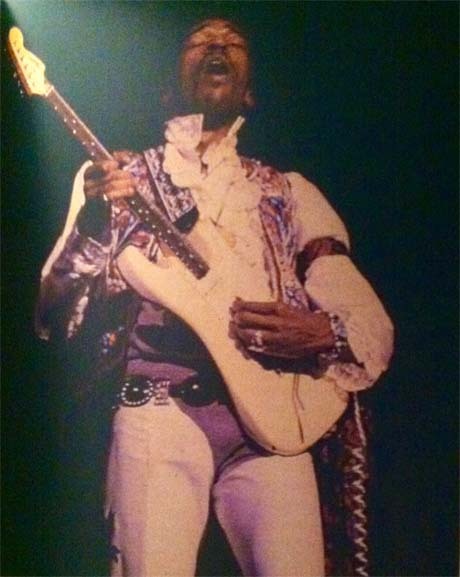 Jimi onstage at the Pacific Coliseum, reproduced from the book Eyewitness: The Jimi Hendrix Concerts 1968. 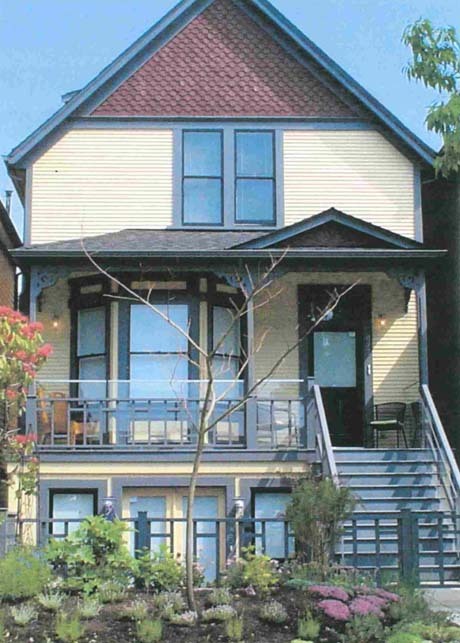 In 2008 Nora’s house at 827 East Georgia was renovated and given heritage status. The same year a mural depicting Jimi, Nora and her famous house and church was painted on a thirty foot high wall at 1030 Cordova and Glen Dr. In 2010 a shrine for Jimi and Nora was opened in the last remaining structure of what was Vie’s Chicken Inn. Unfortunately, the shrine only lasted until 2015 when the landowner sold the property. Jimi’s grandfather Ross and his uncle Leon are buried in Burnaby, a municipality on the border of Vancouver, in Ocean View Cemetery at 4000 Imperial St. Leon’s grave has a permanent stone and Ross had a temporary marker which has since gone but a permanent one is planned. Although Jimi is no longer with us in body his spirit lives and shines in Vancouver eternally. 827 East Georgia Vancouver, BC. Jordan Roberts was born October 14, 1971 in Vancouver, Canada. He has been a lifelong Jimi Hendrix fan and in 2010 became the curator for the Jimi Hendrix Shrine. Jordan has also been a contributor to JimPress (a Jimi Hendrix mag). Roy, Shelley, Vincent, Rich, Buck, Vern, RZA, Blair, Alisha, Blaise, Darcy, Dave, Alex, DJ, Finn, Geordie, Gina, Jace, Karen, Levi, Lewis, Mike, Penny, Tania, Rene, Brendy, Jeff, Bushman, Jerk, Jonas, Jenny, Grama and Grampa, Nanny and Grandad. Extra special thankx to Peter and Kai, who without this book would not be possible. Back cover 1968 concert poster.